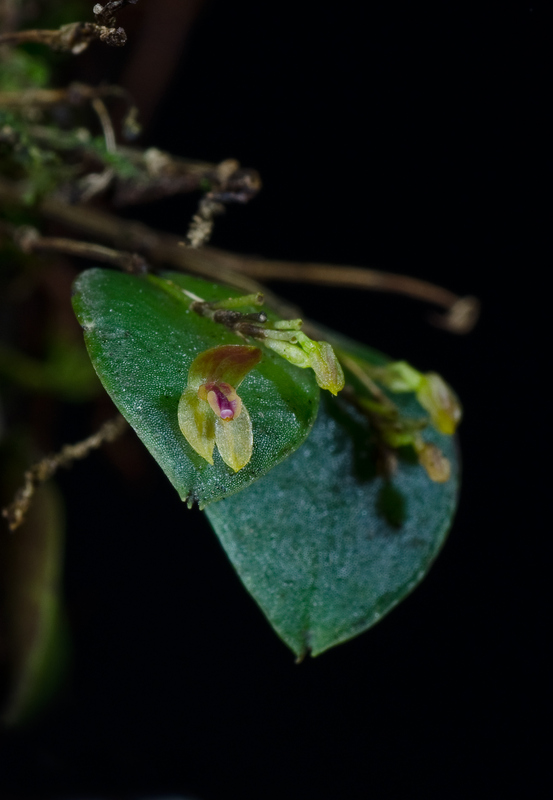 This miniature species was first found in Panama at around 1922. In 2010 I found this species on a big fallen tree on Cerro Arbolado – Costa Rica at about 2600 meters. This was probably the first time this species was found in Costa Rica. Just a few weeks later Daniel Jimenez found this species on Cerro Pando close to Panama. This species is very small. 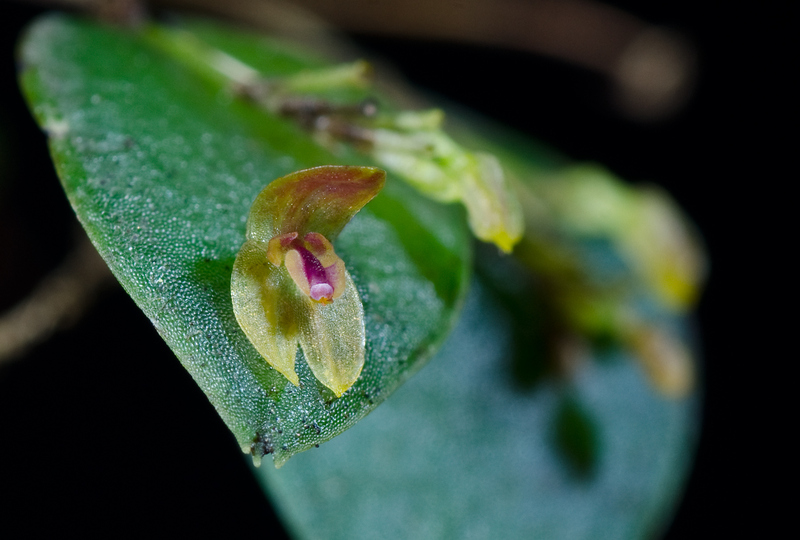 The flowers is about 2 mm in size. The leafs 9-10 mm. The flowers flower just for some days. It grows in very humid conditions. Is there no flowerstem, or does the bud “appear” straight out of the leaf beneath it? Truly something else this one!